The error: When I use the displacement node in Cycles engine the mesh doesn't displace, rather the displacement map is projected on the mesh. The mesh is subdivided and the nodes are connected. 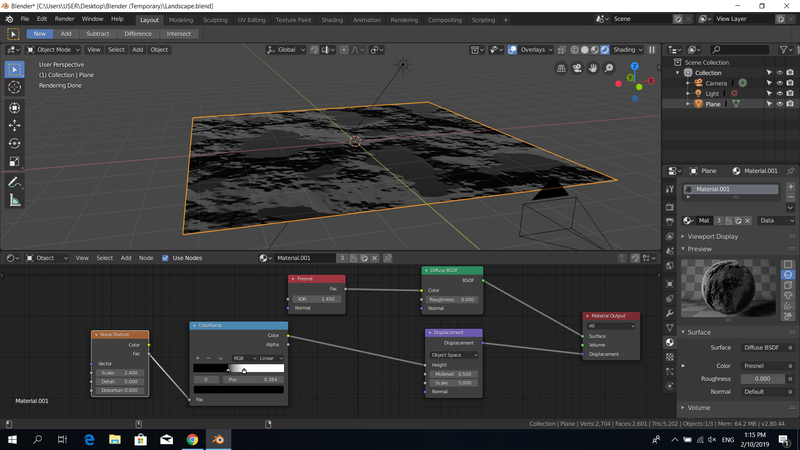 rB3a527357a556: Cycles: change default displacement method to bump mapping again. Phillip (Januarius) renamed this task from Displacement Node (Blender 2.8) to Displacement Node Not Working (Blender 2.8). the default displacement method got set back to bump for various reasons ( rB3a527357a556491406ee9d33a79ab0af5f79e326 ) set it back to displacement and you'll be fine.